Hike the limestone peaks of this magnificent national park - Emerald-green pastures, dense forests, soaring peaks, delicious sheep’s milk cheeses and hearty stews! On Foot in Spain Walking & Hiking Educational Adventures specializes in small group (6 to 14 people) walking tours in northern Spain since 1999. We emphasize Spain's rich cultural heritage (art, history, folklore), its stunning and varied landscapes, flora and fauna as well as provide the finest in lodgings and regional cuisine. PORTUGAL - Enchanting borderlands mixing coast and mountain landscapes, selected highlights of the Camino Portugués from Porto, Portugal to Santiago de Compostela, Spain. On Foot in Spain - Rosalia de Castro, 29, 15886 Teo, A Coruña, Spain. To make your journey more enjoyable you may wish to read about the areas we’ll be visiting and about Spain in general. If these are not available in your local library or bookstores most are available via the internet at www.amazon.com, Adventure Travel Bookstore (1800 282 3963 in US and Canada) or Mountaineers Books (1800 553 4453 - ). Also look for the website: www.wild-spain.com for information and interesting articles on outdoor Spain. Walking in Spain (Lonely Planet, 1999, 2003). Miles Roddis, Nancy Frey, Jose Placer, Matt Fletcher and John Noble. On Foot in Spain owners, Nancy Frey and Jose Placer, have chapters on Galicia, Cordillera Cantábrica (Picos de Europa), the Basque Country and the Camino de Santiago. The 2003 book covers all of Spain but not the Canary Islands. Foster, Nelson and Linda S. Cordell, ed. 1996. Chilies to Chocolate: Food the Americas Gave the World. University pf Arizona Press. Kerper, Barrie. 2003. Northern Spain. The Collected Traveller. NY: Three Rivers Press. Measures, John. 1992. Wildlife Travelling Companion: Spain. Wiltshire: Crowood Press. A general guide on flora and fauna of Spain good if your travelling across the country but not a specialist’s guide. Hooper, John. The New Spaniards. Penguin. 1997. Hooper manages to provide a well-balanced accounting of Spain as it is today and why. Excellent, compact summary of Spain’s complex history. Crow, John A. 1985. Spain. The Root and the Flower. Berkeley : UC Press. Barlow, John. 2008. Everything But the Squeal: A Year of Pigging Out in Northern Spain. Barlow, a native of England, has a great time exploring Galicia’s food traditions focusing on pork with his Galician vegetarian wife. A funny read. We won’t be eating nearly as much pork as he! Borrow, George. 1842. The Bible in Spain. 19th century English Bible salesman George Borrow relates his experiences, in an often humorous fashion, in this excellent volume on mid-19th C Spain. There are accounts of areas we’ll pass through including Finisterre. Casas, Penelope. 1997. Spain’s Green Corner. New York Times Travel. April 27, p. 12, 29. Good general overview of Galicia’s coastal highlights. Frey, Nancy. 2004. Galicia. Coastal Corner. Spanish Magazine. June (Issue 5), pp. 16-25. Now find the article HERE! An article describing Galicia and its highlights from Nancy’s perspective as someone who has lived in the region since 1997. Frey, Nancy. 2003. Serra do Courel: Galicia’s Wild Frontier. Originally published on www.wild-spain.com. Here I describe the beautiful range south of the O Cebreiro pass with an emphasis on the geology, flora and fauna. Gemie, Sharif. 2006. Galicia. Histories of Europe Series. A good general overview of the region with a strong focus on modern history. Kerper, Barrie. 2003. Northern Spain. The Collected Traveler. An Inspired Anthology & Travel Resource. The author presents a very comprehensive annotated bibliography of themes not just related to northern Spain but Spain in general in addition to good selected articles about each zone of the north including Galicia. Michener, James. 1968. Iberia. Spanish Travels and Reflections. While everything else in the book is terribly outdated, his chapter 13 – Santiago de Compostela offers a great read with solid historical information. Jenny Chandler and Jean Cazals. 2005. The Food of Northern Spain: Recipes from the Gastronomic Heartland of Spain. Beautiful photography and delightful prose in this lovely book on food in northern Spain. Rivas is a contemporary Galician author who writes about his region and this is just one suggestion to introduce you to his work. Considered to be Galicia’s finest 19th C poet, her work is full of nostalgia and strong sense of landscape and place. Follas Novas(New Leaves) is a good start. Ena Alvarez, Vicente. 1996. In the Picos de Europa (Translation from Spanish). Leon: Edilesa. General book on the Picos. Clissold, Stephen. 1974. Saint James in Spanish History. History Today 24 (10): 684-92. Excellent general overview of the development of the pilgrimage and cult of St James. Coelho, Paolo. 1995. The Pilgrimage. A Contemporary Quest for Ancient Wisdom. One of the most popular and controversial contemporary Camino books. Brasilian best-selling author, Coelho takes us on his mystical journey along the Camino in search of wisdom. He provides spiritual exercises. Egan, Kerry. 2004. Fumbling: A Pilgrimage Tale of Love, Grief and Spiritual Renewal on the Camino de Santiago. Doubleday. Personal account written by a Harvard graduate student of theology. After her father died of diabetes she walked the Camino. Masterpiece novel set in 12th C Britain during the period of transition between Romanesque and Gothic architecture. Follet develops a fascinating human and historical journey that even coincides w/ the Camino. Frey, Nancy. 1998. Pilgrim Stories. On and Off the Road to Santiago. Berkeley: UC Press. Nancy’s anthropological study on the contemporary pilgrimage which brings to life the multitude of experiences of the modern traveler along the Camino based on her hundreds of interviews with pilgrims from 1992 to 1997. Gitlitz, David and Linda Kay Davidson. 2000. The Pilgrimage Road to Santiago. The Complete Cultural Handbook. St. Martin's. The title says it all. The guide covers art, architecture, history, folklore, flora and fauna. Hitt, Jack. 1994. Off the Road. NY: Simon and Schuster. Humorous and irreverent personal account of Hitt's 1993 walk to Santiago. Hoinacki, Lee. 1996. El Camino. University Park: Penn State Press. Deeply felt personal account with a strong spiritual emphasis by an older man who walked to Santiago. Jacobs, Michael. 2003. The Road to Santiago. Pallas Guides. Architectural guide for travelers along the Camino. Lack, Katherine. 2003. The Cockleshell Pilgrim: A Medieval Journey to Compostela. In the late 1990s, while an English cemetery was being moved, a 14th C pilgrim was discovered buried with his scallop shell. Lack, a historian, attempts to reconstruct his journey and 14th life on the road. Laffi, Domenico. 1997 (1681). A Journey to the West. The Diary of a Seventeenth Century Pilgrim from Bologna to Santiago de Compostela. Trans. James Hall. Leiden (Netherlands): Primavera Pers and Santiago: Xunta de Galicia. Delightful account and translation of Laffis 17th C journey. His eye for detail leaves us with a memorable legacy and Hall has added excellent illustrations to accompany the text. Maclaine, Shirley. 2001. The Camino. Journey of the Spirit. Atria Press. People either love or hate this book. Maclaine walked to Santiago in I994 and then wrote about her spiritual, physical, other-worldly and celebrity experiences along the way. Melczer, William. 1993. The Pilgrim's Guide to Santiago de Compostela. NY: ltalica Press. First English translation of the 12th C pilgrimage guide Codex Calixtinus that helped popularize th pilgrimage route. His translation and first-rate historical background and extensive notes, bring to life this fascinating and invaluable document. Michener, James. 1968. Iberia. Spanish Travels and Reflections. NY: Random House. While everything else in the book is terribly outdated, his chapter on the Camino (Chapter 13 - Santiago de Compostela) offers a great read with solid historical information. Moore, Tim. 2005. Spanish Steps. Travels with My Donkey. London: Vintage Press. Funny account of this Englishman’s trials and tribulations walking with his donkey to Compostela. Mullen, Robert. 2010. Call of the Camino. Myths, Legends and Pilgrim Stories on the Way to Santiago de Compostela. Findhorn Press. Mullen blends issues of mind, body and spirit in this engaging account of his walk along the Camino. Newman, Sharon. 1997. Strong as Death (Catherine Levendeur Mysteries). Forge Books. Murder stalks Catherine and her husband Edgar on their 12th C journey to Compostela. She must use her wit to figure out who among the assorted traveling companions did it! A journalist and olive oil producer Dee fulfilled a dream walking the Camino with us and then wrote this exquisitely beautiful book in which she let her heart and palate be her guide. Nootebaum, Cees. 1997. Roads to Santiago. Detours and Riddles in the Lands and History of Spain. NY: Harcourt. This popular Dutch writer takes you with him on his long journey through Spain to Santiago covering many, many topics. O’Marie, Sister Carol Anne. 1993. Murder Makes a Pilgrimage. NY: St. Martin’s Press. Modern day murder mystery set on the contemporary Camino with a septuagenarian nun Sister Mary Helen as the protagonist and unlikely crime solver. Rudolph, Conrad. 2004. Pilgrimage to the End of the World. Very good and thoughtful, compact travel essay by an art historian who walked to Santiago. Rupp, Joyce. 2005. Walk in a Relaxed Manner. Life Lessons from the Camino. USA: Orbis Books. 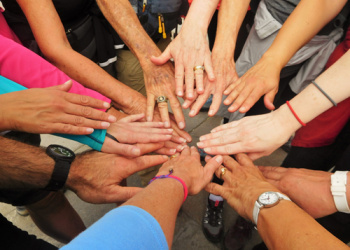 Rather than the typical diary account Joyce, a 60+ walker, focuses on the basic messages she took from the pilgrimage: Live in the Now, Listen to Your Body, Don't Give Up, Trust in a Higher Power, Humility. Camoes, Luis Vaz de.16th C. The Lusiads. Oxford University Press. Considered to be the greatest epic writer of his time, Camoes writes nostalgically about the age of oceanic discovery just as Portugal’s golden age was dimming. Gomes, Tania. 2006. Flavors of Portugal. Thunder Bay Press. Provides interesting recipes including unusual family ones in this bilingual edition. Hermano Saraiva, Jose. 1998. A Companion History of Portugal. Carcanet Press. Good historical overview of Portugal’s fascinating history. Kaplan is a photo journalist and her writing is strongest when discussing the art and architecture. Russell, Peter. 2001. Prince Henry ‘the Navigator’ : A Life. Yale University Press. Deals with this key figure of Portuguese history toppling many of the legends surrounding his personage and giving excellent contextual material surrounding his life and age. He is a Portuguese Nobel Laureate who has published many works including the non-fictional: Journey to Portugal: In Search of Portugal’s History and Culture, and the wonderful, haunting work of fiction, Blindness (Harvest Press). Barrenechea, Teresa and Mary Goodbody. 2005. The Basque Table: Passionate Home Cooking from One of Europe’s Great Regional Cuisines. Harvard Common Press. he Lusiads. Gallop, Rodney. 1970. A Book of the Basques. University of Nevada Press. Excellent collection and analysis of Basque folklore from song to dance to witchcraft. Kerper, Barrie. 2003. Northern Spain. The Collected Traveler. An Inspired Anthology & Travel Resource. Three Rivers Press. Great collection of articles by well-known writers on a variety of topics covering all of northern Spain. Kurlansky, Mark. 1999. Basque History of the World. A very readable but incredibly biased description of the Basque people from pre-history to the present day. It can’t be taken seriously as a historical account as many of his outrageous claims are not backed up. His take on the current situation with the Basque terrorist organization ETA is misinformed and one-sided and should be taken with a grain of salt. Laxalt, Robert and Joyce. 1999. The Land of My Fathers: A son’s return to the Basque Country. University of Nevada Press. Memoir written by the son of a Basque immigrant who returned to visit his father’s village in Spain. Laxalt is considered to be one of Nevada’s finest writers and has written several books set in the Basque country including the award winning A Cup of Tea in Pamplona. Sevilla, María Jose. 1990. Life and Food in the Basque Country. New Amsterdam Books. Discover the Basque Country and its people through its food culture. Good, leisurely read. Woodworth, Paddy. 2007. The Basque Cultural History. Signal Books. Irishman Paddy Woodworth has been writing about the Basques for thirty years and is most well known for his take on the Basque terrorists, ETA, in his Dirty War, Clean Hands. The book provides good background information on the Basque Country in general. Walk the last section from León through green Galicia and earn the Cathedral's Compostela certificate!